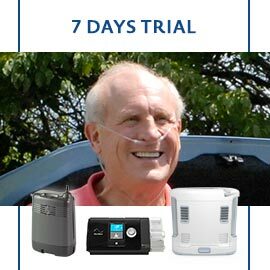 List of minimal contact masks (nasal pillows) of CPAP and Auto CPAP for all needs. These masks doesn't cover face but, instead, have nasal eartips that rest gently a few millimeters inside the nostrils, annoying the lesser portion of skin possible among all the masks. The main brand are Philips Respironics and ResMed. List of nasal masks for CPAP and autoCPAP for all needs. These masks only cover the nose, obstructing just a small portion of face. The main brands are Weinmann, Philips Respironics, Fisher & Paykel, Circadiance, Resmed. List of full face masks (nose + mouth) for CPAP and Auto CPAP for all needs. These masks covers nose and mouth, occluding a not negligible portion of the face, these are recommended for those who breathe mostly through your mouth. The main brands are Weinmann, Philips Respironics, Fisher & Paykel, Circadiance, Resmed. List of maximum contact full-face masks for CPAP and Auto CPAP for all needs. These masks go to completely cover the face, in order to minimize the losses of air from the gasket. Recommended only for those who can not stand any other type of mask or who have skin extremely sensitive to air pressure. The main brand is Philips Respironics.